Why Do You Get Rash After Drinking Alcohol? Excessive consumption of alcohol has negative effects on the body. It causes hangovers the following day and in some cases, can lead to gastritis, a condition characterized by inflammation of the stomach. Usually, alcoholic gastritis is not a severe problem. But it causes a lot of discomfort to the victim. And while gastritis is not only caused by taking too much alcohol, drinking responsibly will greatly lower your chances of getting it. How Are Alcohol and Gastritis Related? 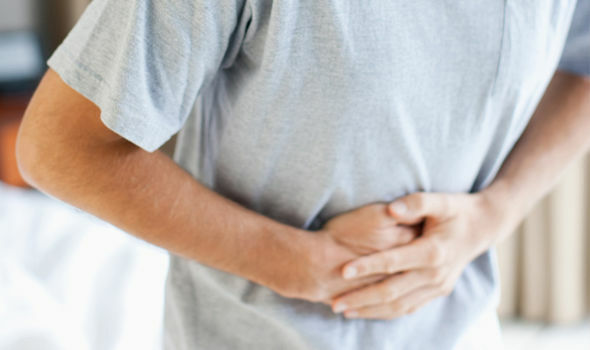 Gastritis is commonly caused by excessive alcohol consumption. Alcohol is a toxin that irritates the lining of the stomach walls and in the process causes inflammation. With regular excessive alcohol consumption, the inflammation sets in. This is because the stomach does not get the time to recover from the previous irritation. So with frequent abuse of alcohol and the stomach being unable to recover in time, gastritis develops. In some cases the stomach walls may bleed, leading to development of other health conditions such as stomach ulcers. What Are the Symptoms of Alcoholic Gastritis? Abdominal pain in the upper central region. It presents as a burning sensation, a dull ache, or a sharp pain that pierces to the back and between the shoulder blades. Note that large amounts of alcohol do not solely induce gastritis but it’s rather taking very concentrated alcohol, or taking too much within a short period of time, also called binge drinking. If you suffer from a stomach ache after alcohol consumption, it could be an indicator of irritation of the lining of your stomach walls. If it is accompanied by any of the symptoms above, it could mean that the alcohol you consumed is the culprit. For a doctor to diagnose it, he/she will only need to take your history. A full blood count which (FBC) is also called a complete blood count (CBO) is one of the common tests carried out to ascertain whether there is elevation in your white blood cells. It also helps in ruling out anemia and severe loss of blood. A U&E (urea and electrolyte) test which is also called blood urea nitrogen (BUN) test examines how the kidneys are working in balancing water and salt. Amylase is used for testing whether the pain is as a result of pancreatitis and not gastritis. An endoscopy which is an examination of a bodily orifice or organ can also be done. A small camera mounted on a small flexible tube is passed into the stomach to detect irritation, bleeding or injury. A sample stool test may also be administered to find out if it contains helicobacter pylori bacteria. Presence of these bacteria in stool is usually an indicator of infection and possibly gastritis. How Is Alcoholic Gastritis Treated? If you develop alcohol-induced gastritis, the best way to manage it is not by taking medication. Reduce your rate and frequency of alcohol consumption. You may even consider stopping drinking once and for all. If you decide on moderating your drinking habits or stopping all together, you should have your doctor check you and advise accordingly on the treatment options available for you. Note that in case alcohol has become part of your life, you should not withdraw suddenly. This is because such withdrawal can lead to serious health issues. If you experience stomach pain, you may use the over-the-counter medications. But be careful and avoid medicines containing or based on aspirin, ibuprofen and diclofenac. Look for those containing paracetamol or acetaminophen. To heal the stomach lining, medicines such as Omeprazole (Prilosec) or Lansoprazole (Prevacid) are used. Lansoprazole is usually taken for 14 to 28 days. It is given as 30mg capsule or tablet and should be taken once daily. Gaviscon or Aluminum hydroxide (Amphojel, Alterna GEL) are other medicines that can be used in managing alcoholic gastritis. The inflammation of the voice box, also called laryngitis can be induced by excessive consumption of alcohol. It’s characterized by swelling, dryness, hoarseness and polyps in the vocal chords. Hoarseness may also be caused by acid reflux which commonly occurs in alcoholics. There is also a risk of pharyngeal and laryngeal cancer in the long run. Alcohol consumption encourages the growth of bacteria in the intestines. These can go through into the blood stream, reach the liver and cause liver infection. This can, however, be inhibited by taking probiotics and prebiotics such as Bifidobacteria, Lactobacillus GG, L-glutamine, oat bran, zinc supplements and epidermal growth factor (EGF). This is inflammation of the pancreas. It mainly affects those who maintain a habit of consuming at least seven drinks daily for more than five years. However, only about 10 percent of those who drink heavily develop chronic pancreatitis. The symptoms include chronic pain which may pierce to the back and last for a few hours. Additionally, diabetes type-2, chronic diarrhea and fat mal-absorption may develop due to severe chronic pancreatitis.